Like said, e-commerce websites often have lots of pages, which requires a lot of time for maintenance and administration, but an error here and there is bound to happen. The best way to be prepared for those is to learn about common issues most e-commerce websites face concerning SEO. If there are pages with similar content that cause a duplicate content issue, use noindex tag for a page that does not bring traffic and does not have to show in the search results. Using this tag, you instruct the search engines not to index the particular page, and thus they will not see the duplicate content. Another way to solve the problem is by using rel=canonical tag. In this case, you tell the search engines that a copy or a variation of the page does exist, and the search engines know not to treat this page as unique. So even if the pages have similar or identical content, search engines will still know what to do and how to prioritize them. Content, in general, can be an issue. Besides the duplicate content, there is an issue of “thin content”. Thin content is the situation when a page has a minimal amount of content. One of the main reasons why this issue occurs for e-commerce websites is the fact that there is a need to create a huge amount of content for rather similar products, with the similar features and properties. This can be quite a challenge. In general, longer content (1000+ words) ranks better, which is another reason why content on the e-commerce website can be considered thin. Hardly anyone will write that much content for each product. Just imagine having 1000 words written, or even 1500,for every product. It might be doable with three, four or even ten products. But e-commerce websites can have hundreds of product pages. How to fix this problem? Start by identifying the pages with thin content and then determine how to improve them. You could use a template. Of course, you will have to pay attention to avoid all of that duplicate content issue, but you could create a sort of a template to make things easier for you. Product description– Describe when to use the product, how, benefits, award, etc. Your aim should be at least 300 words, but whenever there is a chance to make this description more lengthy, you should go for. It is a general rule to create more content for the most important pages (those that bring traffic, that rank well, etc.). Pagination does not necessarily have to be an issue, but it frequently is for e-commerce websites. When there are a lot of products inside a category, those are sorted using pagination. The number of products shown on each page is usually between 20 and 70, even fewer for the mobile version of the pages. Adding the tags rel=next and rel=prev is the way to create a series of pages. When you use these tags, the search engine can understand the connection between these pages. You should use noindex tag for all other pages, so the search engine will only index the first one. This option shows a limited number of products with the “Load more” button. There is no need to click on separate pages, but the products are shown once the user clicks on the button. This solution reduced the loading time of the page because the products are not loaded all at once but in segments, as the users click on the button. Scrolling is similar to load more, but it is infinite. This means that a limited number of products is shown, but as the user scrolls down the page, the content is automatically loaded. This way, the users cannot reach the footer until all of the products are loaded. Choosing the type of pagination for your website is based on the type of products you sell, but also based on the number of products you have within each product category. What you need to pay attention is not to prolong the loading time or affect your SEO. Address each of these issues to improve the website speed. 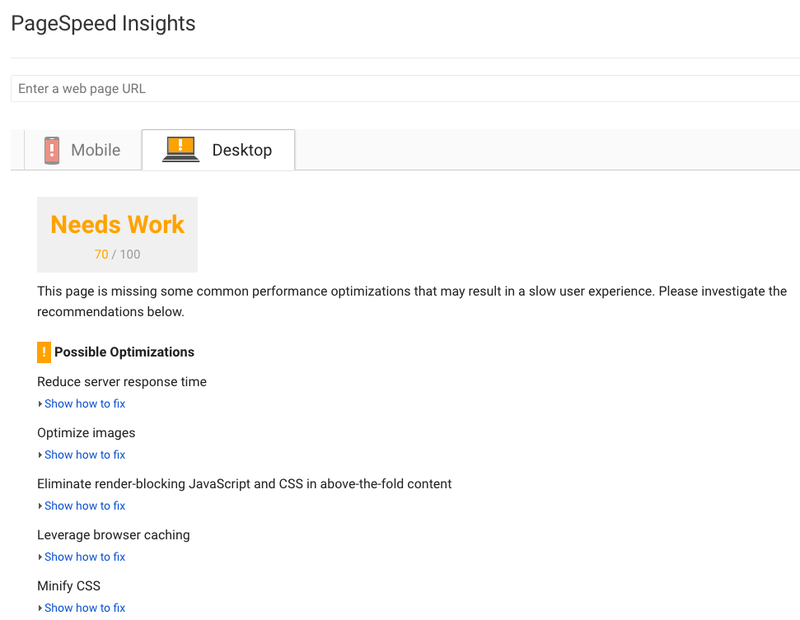 You could also run a check of your site to get additional suggestion on how to make your website pages faster: PageSpeed Insights. Think about all of these issues as a way to further optimize your website. Even though they might be common obstacles, there are ways you can solve them to make sure the performance of your website stays unharmed. You should definitely address these issues as ones of high priority. Do not let anything slow you down, and anything that might harm the user experience should be something you should work on. The bottom line is that reaching more users is what you should be focused on in order to increase sales and fixing these issues can certainly help you achieve this goal.